Find Famous Names and Designers seen in department and specialty stores at advantageous prices! We carry Misses sizes and a selection of Women's and Petites. Our current season's fashions arrive from a variety of sources from moderate to better to designer NYC showrooms, plus manufacturers close-outs, buy-outs and ever-popular samples. New merchandise arrives daily and may sell out quickly, so customers are encouraged to check back often. "Retail Therapy" is our true mission, and we are thrilled to be doing exactly that for 35 years. 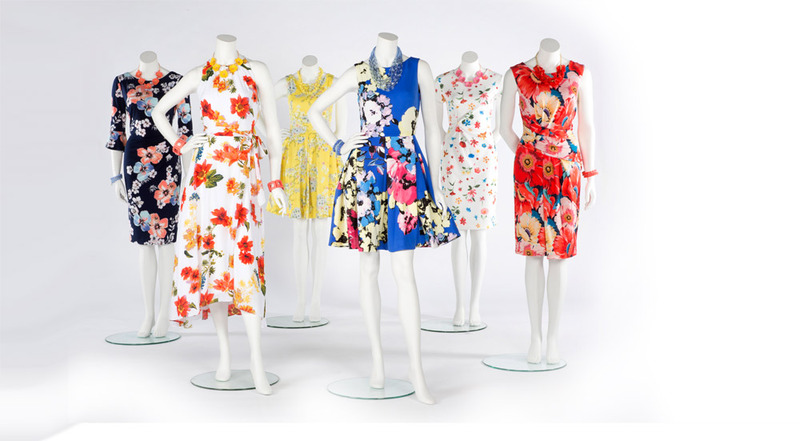 We are truly dress-obsessed! Our savvy dress buyers are in NYC showrooms weekly selecting the latest new styles for every occasion. Continuous shipments keep our huge dress department ever-changing and ever-exciting. Whether you're looking for a dress to wear to the office, to a party, for cocktails, to take on vacation, or to attend a wedding (hello Mother-of-the-Bride and Mother-of-the Groom! ), you'll find that perfect dress. As Fannie says, "Have the best dress in the whole room and save a fortune." Styles shown represent our vast inventory. Styles arrive daily and sell out quickly. 100s of stunning gowns & dresses at HUGE SAVINGS! Find that perfect dress for spring socials and prom. Plus jewelry and accessories. Photos to come will represent our vast inventory and may vary. Styles arrive daily and sell out quickly. 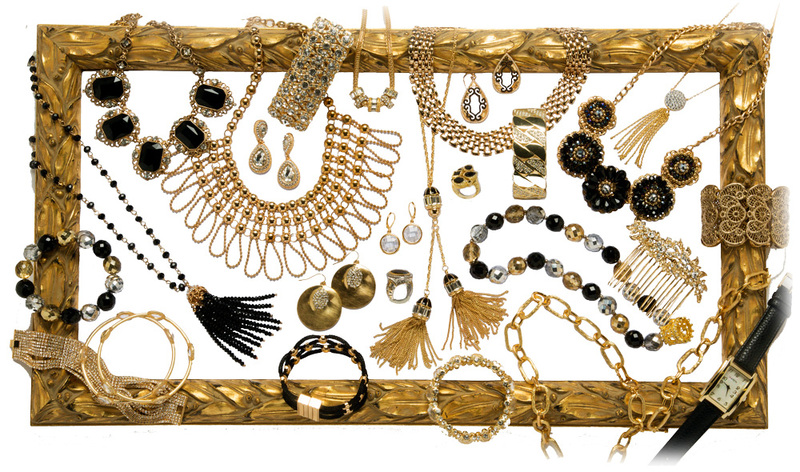 Prepare to be dazzled by our huge fashion jewelry department! 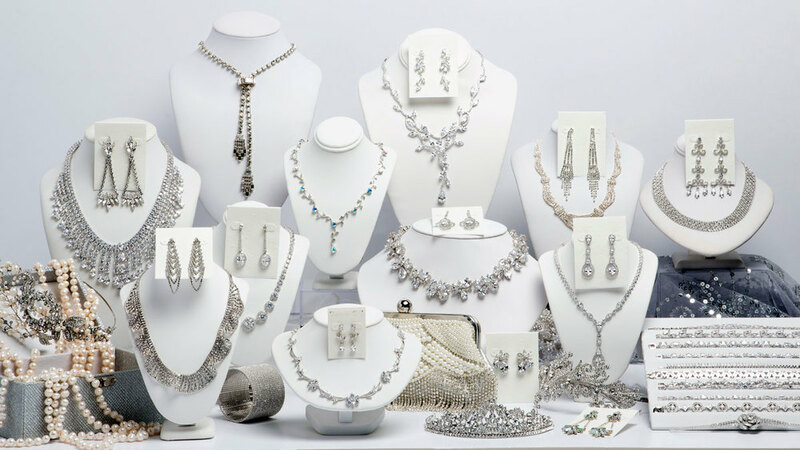 Featuring a huge selection of up-to-the-minute costume jewelry, classic every day jewelry and beautiful special occasion pieces. From delicate to bold, from simple to extreme, we have a a look to match your mood, your style and your wallet. Look dazzling, be frugal! Styles shown represent our vast inventory. Styles arrive daily and sell out quickly. now an extra 20% off! 2019 Swimwear! Find Brand Name & Designer swimwear and cover-ups for every body... and every age. You’ll look good and feel great! Styles shown represent our vast inventory. Styles may vary. Styles are selling out quickly. Enjoy the convenience of a huge shoe store within a store! It’s one-stop shopping! Our fabulous shoe department is stocked with thousands of current season, famous name and designer shoes. Fall in love with the perfect pair! Or two, or three.... Styles shown represent our vast inventory. Styles arrive daily and sell out quickly. Frugal Fannie's is an exciting, fast-paced Fashion Warehouse Store for women (of all ages! ), located in Westwood on the Norwood line. We're looking for friendly, energetic people to join our team! part-time sales associates needed - cashiers, sales floor associates, fitting room attendants, stock room associates. We offer a generous employee discount, flexible hours from 12 to 30 hours a week, competitive pay and the opportunity to advance. Print and fill out both pages of the application below or stop by for an application! Call Lori at 781-329-8990 ext 245 or email us at hr@frugalfannies.com to set up an interview.